Probation Sentence: In some perjury cases it may be possible to have the charges dismissed or reduced. In other perjury cases a sentence of probation (without prison or jail) may be possible. Whether or not a perjury charge is dismissed, reduced, or granted probation depends largely on the egregiousness of the case and the defendant’s criminal history. Strike Crime: PC 118a and 118(a) crimes are not considered strike crimes as those terms are found in California’s Three Strikes Sentencing Law. If found guilty of either perjury charge the defendant may be eligible for early parole pursuant to Prop 57 (early release on parole for non-violent offenders). Also, the defendant may earn at least fifty percent (50%) credit off his or her sentence for any good time behavior while in jail or prison. The Debtor testified that RCS notified him that on June 1, 2016, Ditech would begin servicing the Note. A Ditech representative contacted the Debtor in June by phone and informed him that according to Ditech’s records, the Debtor was $2,000.00 in arrears on the Note. The representative attempted to collect payment from the Debtor at that time. The Debtor was assigned a Ditech account representative, but despite repeated calls to the initial representative, the Debtor was unable to reach anyone to discuss the alleged arrears. Ditech subsequently sent multiple letters to the Debtor informing him of various account representatives assigned to his account. In one instance, Ditech assigned a new account representative less than two weeks after assigning a prior representative. The Court concluded that Ditech violated the Discharge Injunction. The willfulness prong of the Fourth Circuit’s test for sanctions “requires only that the acts taken in violation of the injunction be intentional.” In re Fina, 550 Fed. Appx. at 154. Courts have compared this willfulness element to willfulness in the context of a stay violation, requiring an intentional act with knowledge of the discharge injunction. See id. Ditech intentionally acted when it mailed statements to the Debtor, and Ditech’s representatives acted intentionally any time they sought to elicit payment from the Debtor for the alleged arrears over the phone. To the extent the statements that Ditech mailed to the Debtor were computer generated, the sending of those correspondence nevertheless constitutes a willful act. See In re Ennis, 2015 Bankr. LEXIS 3657 (Bankr. E.D.N.C. Oct. 28, 2015). The court also notes that Ditech remains culpable even though it was not the servicer for the Note when the arrears were discharged and Ditech never received the Discharge Order. When a note or other obligation is transferred, the successor in interest is responsible for ensuring records are properly transferred. Moreover, Ditech became aware of the Debtor’s bankruptcy once the Debtor explained that he had cured arrears through his Chapter 13 Plan. Ditech is in contempt of the Discharge Order. The Debtor was adversely affected by Ditech’s correspondence and failure to explain adequately the alleged delinquency on the Note. The Debtor’s testimony was extremely credible as he described the eight months he has spent trying to rectify this matter. Ditech’s predecessors in interest maintained an active presence in the Debtors’ case, and Ditech is a sophisticated lender familiar with bankruptcy proceedings and the United States Bankruptcy Code. Ditech’s failure to rectify its records without the involvement of this court is unacceptable. The Debtor should be awarded actual damages as compensation for the nuisance and frustration related to the receipt of the correspondence and phone call from Ditech, as well as for time spent dealing with Ditech representatives, documenting payments, contacting counsel about the correspondence and appearing in court. The Debtor incurred expenses related to sending proof of payment to Ditech and his counsel, as well as travel expenses. The appropriate amount of damages to award to the Debtor is $10,000.00. I would only add that none of the Trusts actually come to own the debt, loan, note or mortgage anyway. The creation of “assignments” and “powers of attorney” merely create the illusion of a transaction that never occurred. Rod Ciferri is licensed in New York State. I strongly recommend that lawyers read the following excerpt from Rod Ciferri carefully and incorporate it into the argument and memos. Estates, Powers & Trusts Law § 7-2.4 (“§ 7-2.4”) states that acts of a trustee in contravention of the trust agreement are void. Here the act of Plaintiff-In-Intervention which is void is its late acceptance of the loan into the trust. Although Defendant is aware of cases holding such acts are merely voidable, such cases rest upon a misunderstanding of New York law. First, § 7-2.4 was preceded by a statute of nearly identical language – 1 R.S. 730, § 65. That statute was first considered by the highest court in New York, the Court of Appeals, in 1852. Powers v. Bergen (1852) 6 N.Y. 358, found a sale of certain real property held in trust under the direction that the real property would be a life estate for the beneficiary was void under that statute – despite the fact that the beneficiary did not object and that the legislature made a private statute specifically to facilitate such sale. The high court of New York found neither the ratification of the beneficiary, nor private statute of the legislature made the act of the trustees in contravention of the trust agreement anything less than void. Other cases of the New York Court of Appeals followed that literal interpretation of the statute. Given that the statute under consideration by the New York Court of Appeals is identical to the current statute as to its terms that are material to the issues herein, these cases are mandatory authority on the meaning of § 7-2.4: “void” actually means void. Finally, the California Supreme Court confirmed that the New York Court of Appeals ruled the predecessor statute to § 7-2.4 voided acts of the trustee in contravention of the trust agreement. 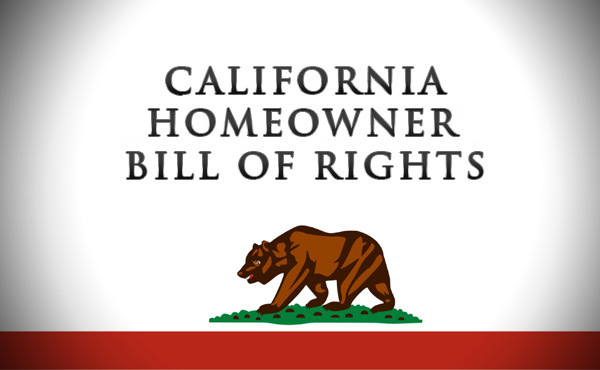 In fact, that case considered California’s own statute, former Civil Code § 870, that had identical language as New York’s former statute, except that it was limited to real estate, whereas, the New York statute applied to all estates. Significantly, the Firato Court acknowledged a trustee’s acts in contravention of a trust agreement are void, however, in consideration of another section of the Civil Code, it recognized that was not necessarily the case with regard to title to property thereby obtained by purchasers for value without notice. Subsequently, the California legislature repealed Civil Code § 870. Therefore, the California Supreme Court has recognized that that the word “void” used in its own almost identical former statute means void, except in cases where the trustee conveys property to an innocent purchaser. However, should the Court determine that these cases are not mandatory authority herein because of differences between § 7-2.4 and the prior statutes, despite the dearth of New York Court of Appeals cases considering the legal effect of § 7-2.4, the intermediate appeals courts have established the rule of law in this regard that must be followed by trial courts. In the absence of an on point ruling by the New York Court of Appeals, it is the decisions of the intermediate appeals courts, the Appellate Divisions, which are to be followed by the trial courts. See, Mountain View Coach Lines, Inc. v. Storms (1984) 102 A.D.2d 663 (If only one Appellate Division has ruled on a point not ruled on by the Court of Appeals, that ruling is binding on trial courts). The only Appellate Division that has specifically dealt with § 7-2.4 is the Second Department. In the matter of Doman (2d Dept. 2013) 110 A.D.3d 1073 (distributions from trust not authorized by the trust agreement must be returned to the trust); Pepi v. Petrella (2d Dept. 2000) 268 A.D.2d 477 (conveyance made in contravention of the trust void). Just as a trustee’s acts in contravention of the trust were adjudged void under the old statute, the Appellate Division, Second Department, has determined the same are void under § 7-2.4. Moreover, the lower court decisions holding that the word void actually means voidable are of little authority because none of them actually found the wording of § 7-2.4 to have been ambiguous – a prerequisite to judicial construction and interpretation – whether analyzed under California or New York law. Where a statute is unambiguous, the courts must interpret its words in accordance with their ordinary meaning and not engage in statutory construction. Kimmel v. Goland (1990) 51 Cal.3d 202, 208 (To determine the intent of legislation, courts first consult the words themselves, giving them their usual and ordinary meaning); Rojo v. Kliger (1990) 52 Cal.3d 65, 73 (When statutory language is clear and unambiguous there is no need for construction, and courts should not indulge in it); PBA v. City of New York (1976) 41 NY 2d 205, 208 (“where the statutory language is clear and unambiguous, the court should construe it so as to give effect to the plain meaning of the words used.”). Clearly the courts that have determined “void” means “voidable” did not follow these elementary rules prohibiting judicial construction absent an ambiguous statute. Also, cases that don’t cite § 7-2.4 that find unauthorized acts of a trustee are “voidable” are of dubious authority herein for not considering that statute’s effect on such acts. Finally, none of these cases analyze the substantially similar statutes that existed in both New York and California, nor the cases decided by the high courts of those respective states correctly interpreting them. Therefore, this Court should follow the sound mandatory authority of the plain meaning of § 7-2.4, the New York Court of Appeals decisions that considered § 7-2.4’s predecessor statute, the California Supreme Court’s interpretation of a substantially similar statute and the Appellate Division, Second Department cases that specifically considered § 7-2.4. Whether void or voidable, the issue is not an academic one. The legislature’s purpose in enacting § 7-2.4 was “to protect trust beneficiaries from unauthorized actions by the trustee.” Turano, Practice Commentaries, McKinney’s Consolidated Laws of New York, Book 17B, EPTL §7-2.4. That statutory purpose is particularly important in the instant case, since the certificate holder beneficiaries under the trust herein are prohibited by the Agreement from voting on or challenging such unauthorized actions except in certain sharply circumscribed circumstances. In short, “void” means void. “where the trust shall be expressed in the instrument creating the estate, every sale, conveyance or other act of the trustees in contravention of the trust shall be absolutely void.” See Briggs v. Davis (1859) 20 N.Y. 15, 21. See Briggs v. Davis (1859) 20 N.Y. 15 (grantees of land in trust for the payment of debts reconveyed to the grantor, reciting that the trusts had been executed. In fact, the debts had not all been paid. The debtor then mortgaged the land to one having no actual notice of the trust. It was held that the reconveyance, being in contravention of the trust, was void, and that the legal estate remained in the trustees. ); Genet et al. v. Hunt et al. (1889) 113 N.Y. 158 (“The statute makes every conveyance or other act of the trustees of an express trust in lands, in contravention of the trust, absolutely void…”); Russell v. Russell (1867) 36 N.Y. 581 (Transfer in contravention of the trust agreement void, despite mutual assent to it by the trustee and beneficiary). Firato v. Tuttle (1957) 48 Cal.2d 136 (“In 1859 it was held by a divided court in Briggs v. Davis, 20 N.Y. 15 [75 Am.Dec. 363], that this statute made a wrongful reconveyance under a deed of trust absolutely void even as to an innocent purchaser.”). For the history of Civil Code § 870, see Schiavon v. Arnaudo Brothers (2000) 84 Cal.App.4th 374. Plaintiff-In-Intervention, as a party to the Agreement, had knowledge that its late acceptance of the instant loan into the trust res was unauthorized, and, consequently, cannot be deemed an innocent purchaser. In fact, Plaintiff-In-Intervention unequivocally covenants in the Agreement at Section 3.02, the following: “REMIC-Related Covenants. For as long as any 2007-AR4 REMIC shall exist, the Trustee shall act in accordance herewith to assure continuing treatment of such 2007-AR4 REMIC as a REMIC, and the Trustee shall comply with any directions of the Depositor or the Servicer to assure such continuing treatment.” RJN, Exh. A. See also, Section 11.01 of the Agreement: “Intent of Parties. The parties intend that each 2007-AR4 REMIC shall be treated as a REMIC for federal income tax purposes and that the provisions of this Agreement should be construed in furtherance of this intent.” Id. See also, 26 U.S.C. §§ 860A–860G; see also Real Estate Investment Trusts. Securities Law Series, Vol. 29. Thomson West (2007): 6-22 (Late transfers to the trust result in forfeiting the pass through of taxation to the investors and subjects the trust to a 100% tax of the loan amount). Plaintiff-In-Intervention certainly cannot show it was without notice that its late acceptance of the instant loan was unauthorized by its Agreement. See, e.g., the odd case of a lower court (Appellate Term) that actually considered § 7-2.4 and found that a trustee could have apparent authority to bind the trust to the trustee’s unauthorized act: Feldman v. Torres (2011) 34 Misc.3d 47. People v. Toro (1989) 47 Cal.3d 966, 978, fn. 7 (“…cases are not authority for propositions not considered therein.”).